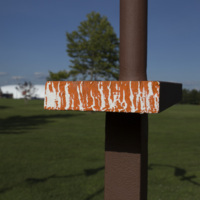 Mark Abildgaard, “Passage,” Art Oneida, accessed April 20, 2019, http://artoneida.org/art/items/show/199. 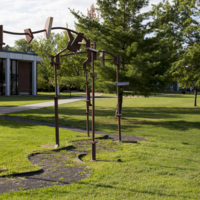 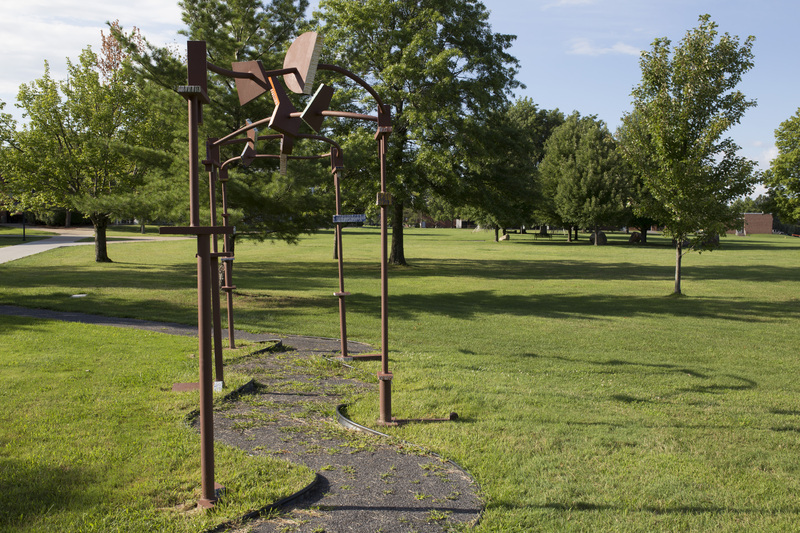 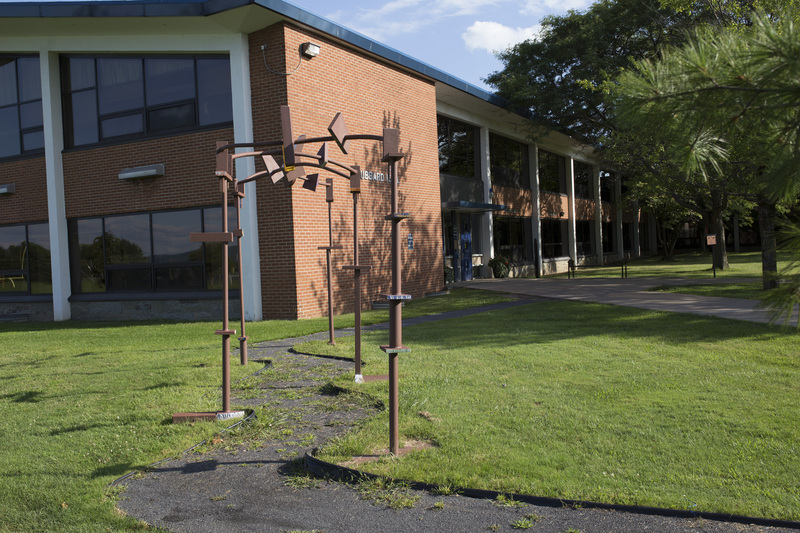 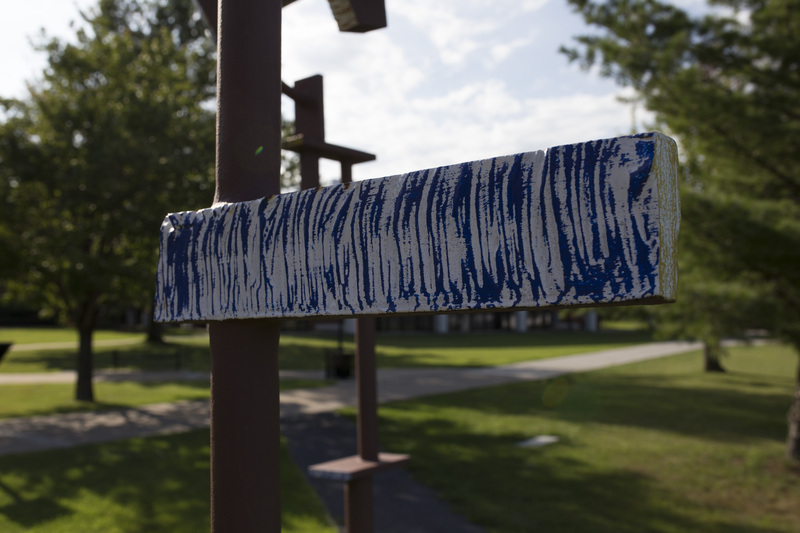 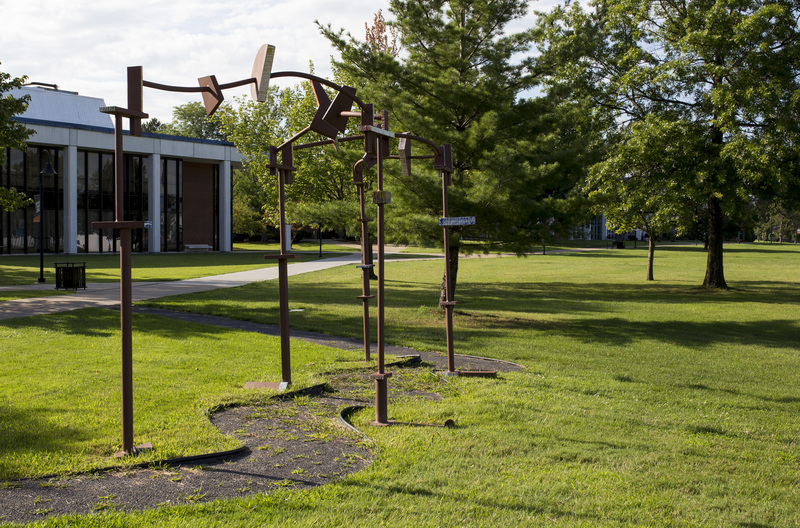 Description: Passage frames a contemplative pathway for students walking across the Utica College campus. 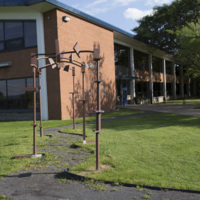 Sculptor Mark Abildgaard designed it for interaction. 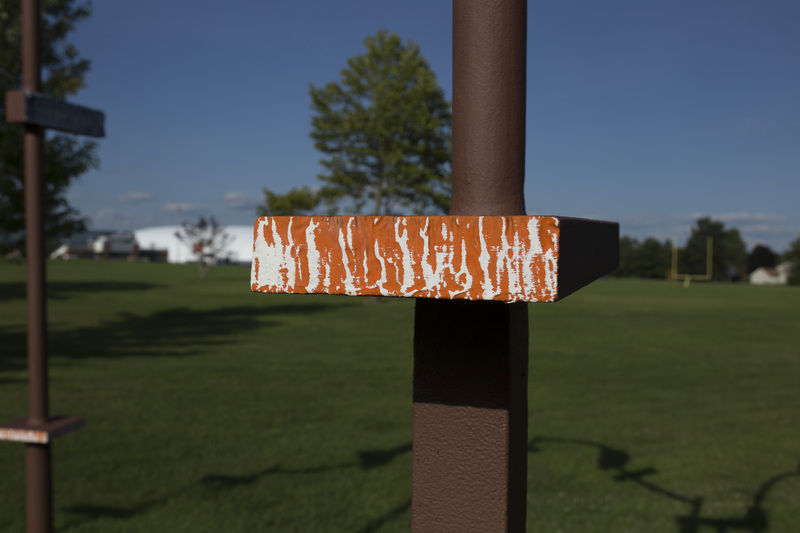 As you pass under the sculpture it draws attention to itself, and the environment around it, from different perspectives. 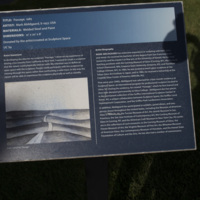 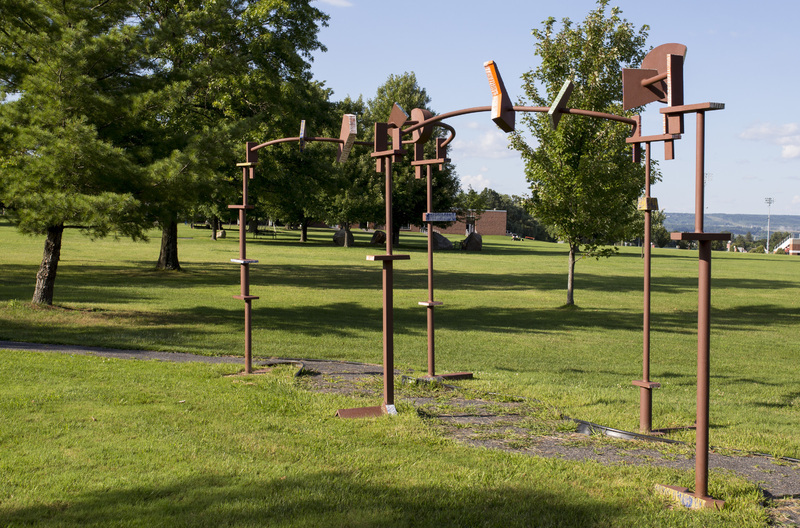 Abildgaard's inspiration came when he was traveling along I-80 to his residency at Sculpture Space in 1985. 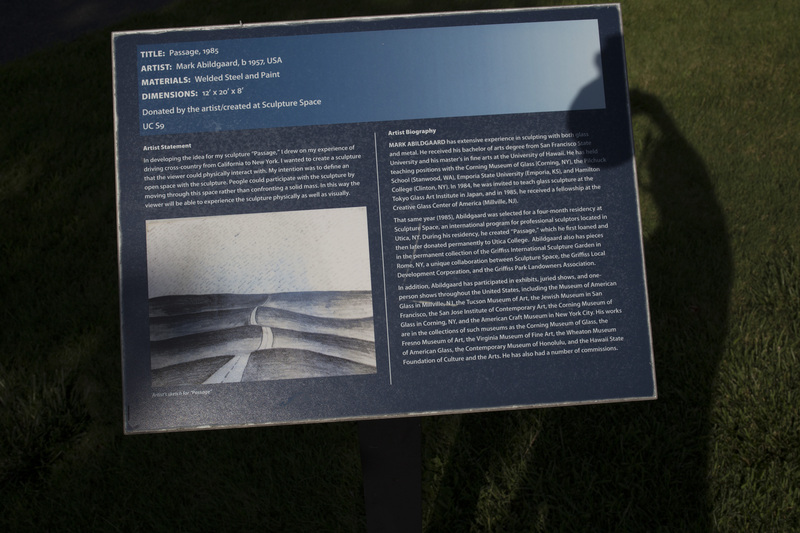 Driving from California to New York, he experienced the contours of the North American continent from West to East. 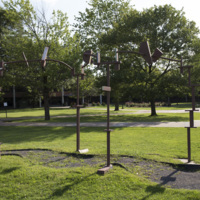 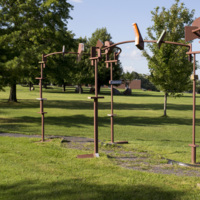 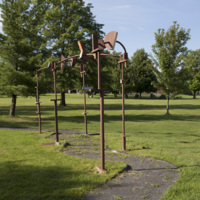 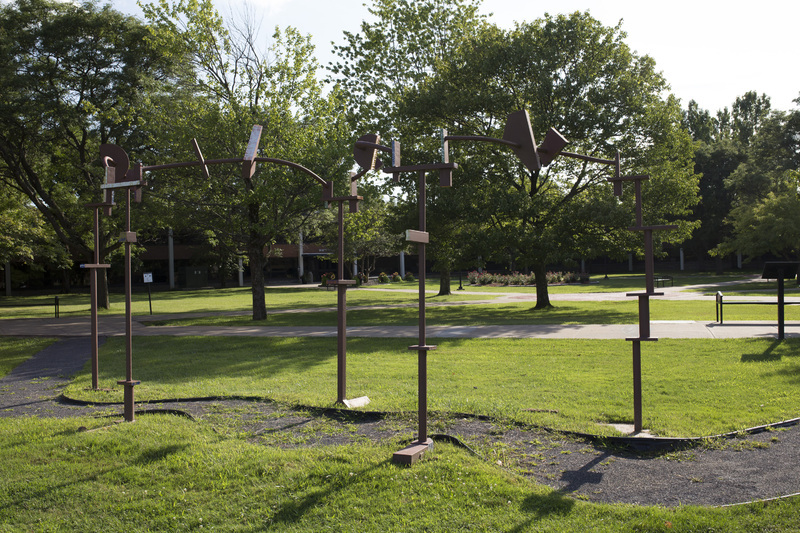 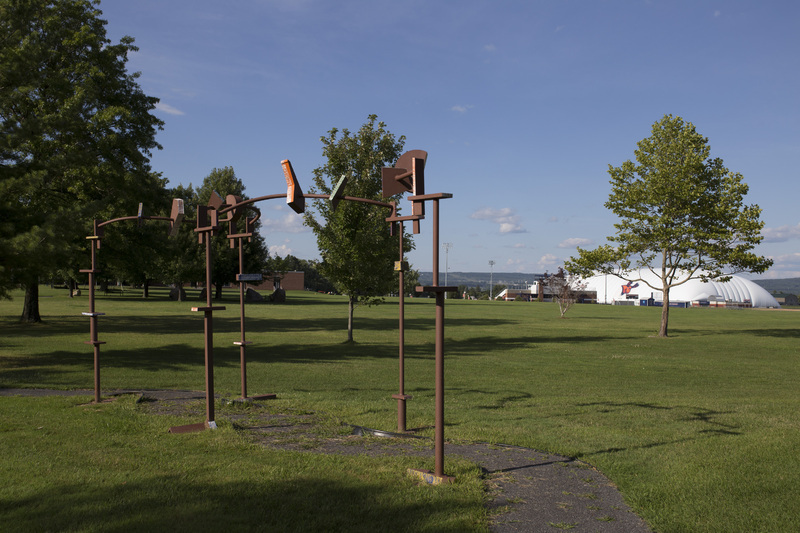 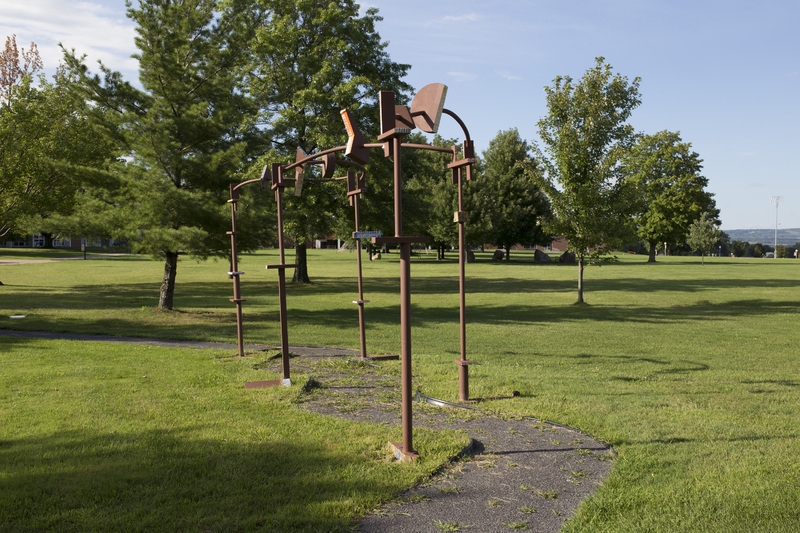 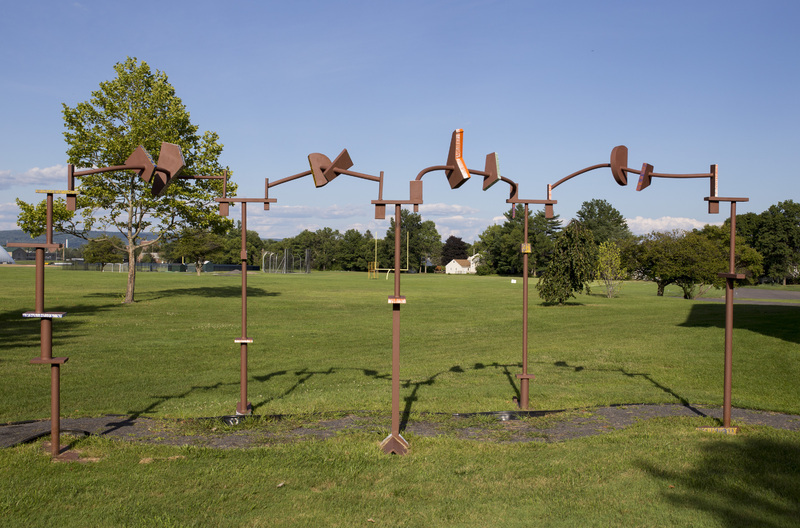 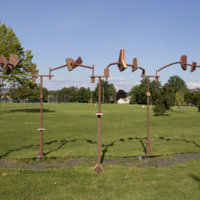 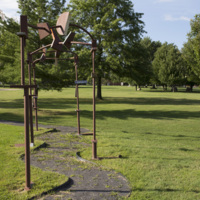 He created this work during his residency, and at first loaned it to Utica College. 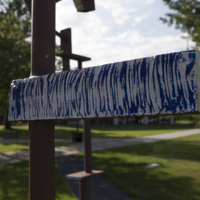 He later donated it permanently. 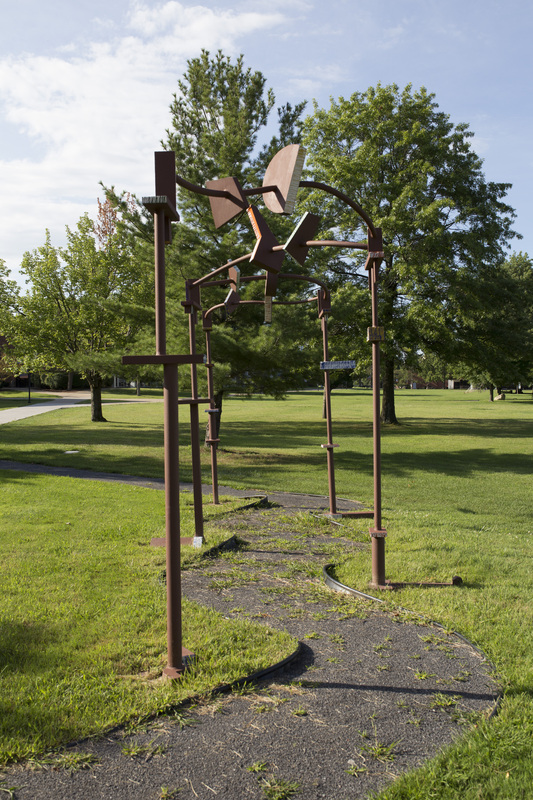 The sculpture stands near the Tree of Peace, planted in 1988 by Haudenosaunee Chief Jake Swamp. 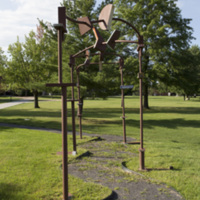 The tree and the sculpture together create a space inductive to reflection on the passages of life and the passing of time. 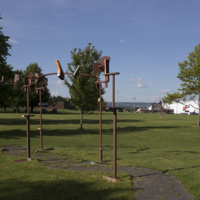 A re-dedication ceremony in 2013 celebrated 25 years since the Tree of Peace had been planted and honored the passing of Chief Swamp.